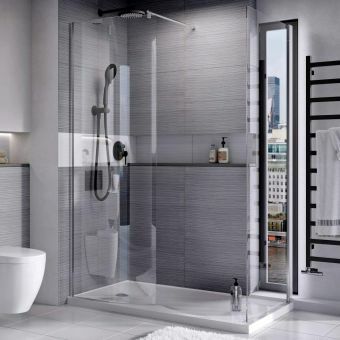 Stepping into this shower space is an exhilarating experience. 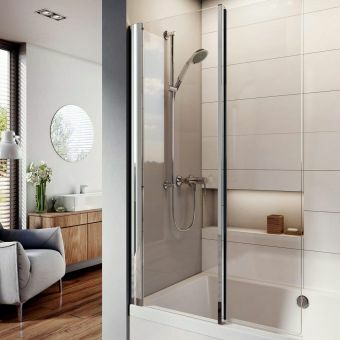 Smaller than the 1700mm version, the Colossus is still appropriately named, as it creates a large, comfortable space in which to shower in style. 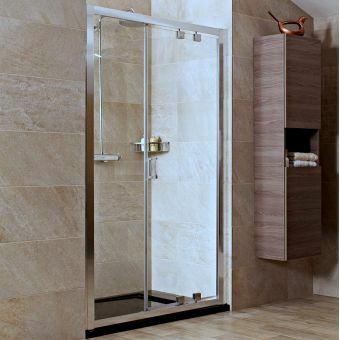 At 1950mm tall and 1450mm across, this spacious enclosure is a stunning example of modern materials put to their optimum use. 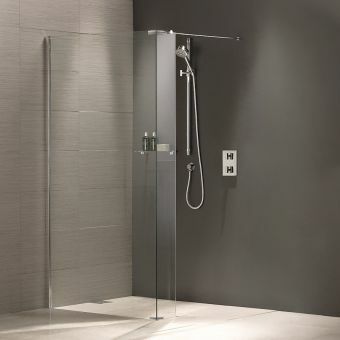 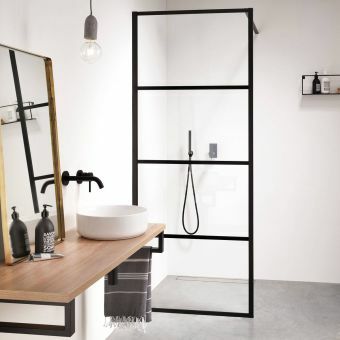 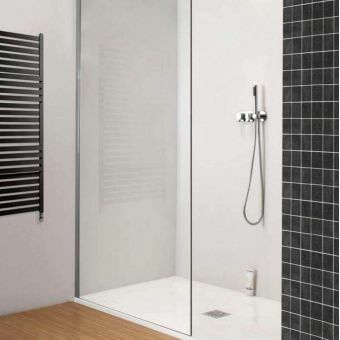 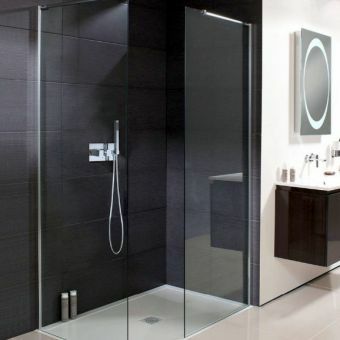 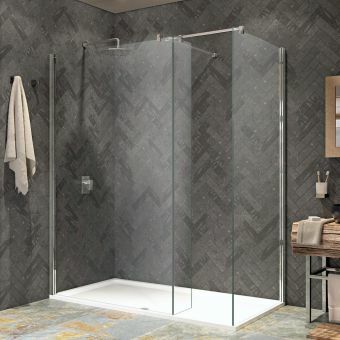 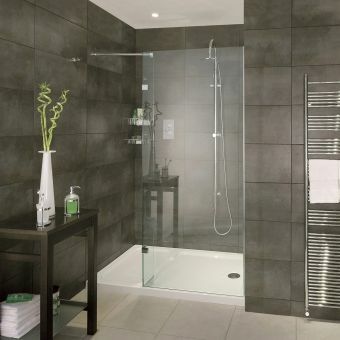 Whether installed to its dedicated shower tray, or fitted flush to the floor, the space created by this suite and its wall of glass is a joy to use. 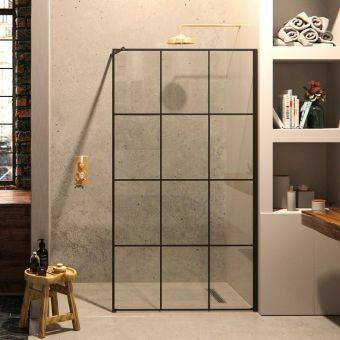 Being devoid of door and frame, its cool presence is the perfect fit in the contemporary living space and complements a range of modern interior designs. 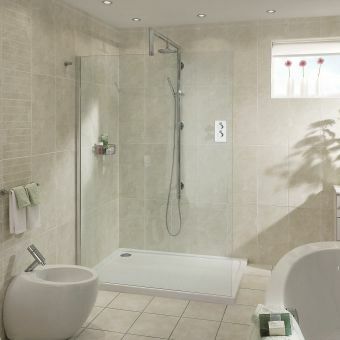 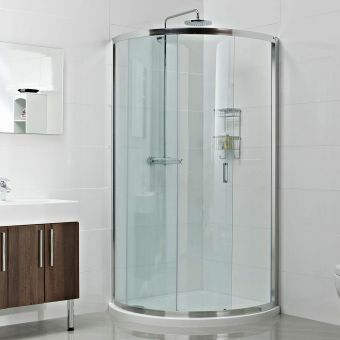 Crafted from 8mm toughened safety glass, this suite is coated with the Roman Ultra Care formula for added protection.